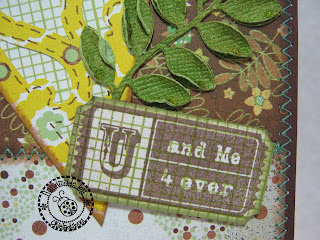 This card is a little bit more mushy than yesterday's card but I think it can also be used for a "friendship" card. It's redeeming quality that keeps it from being too mushy is the colors used. I dont know about you but yellow, greens and browns just don't scream "OMG LOVE ME FOREVER" *okie puts finger in her mouth and acts like she is making her self throw up and makes gagging noises*. I left the inside blank so something to the user's choice can be used. I did add a little strip at the bottom for some extra decoration. 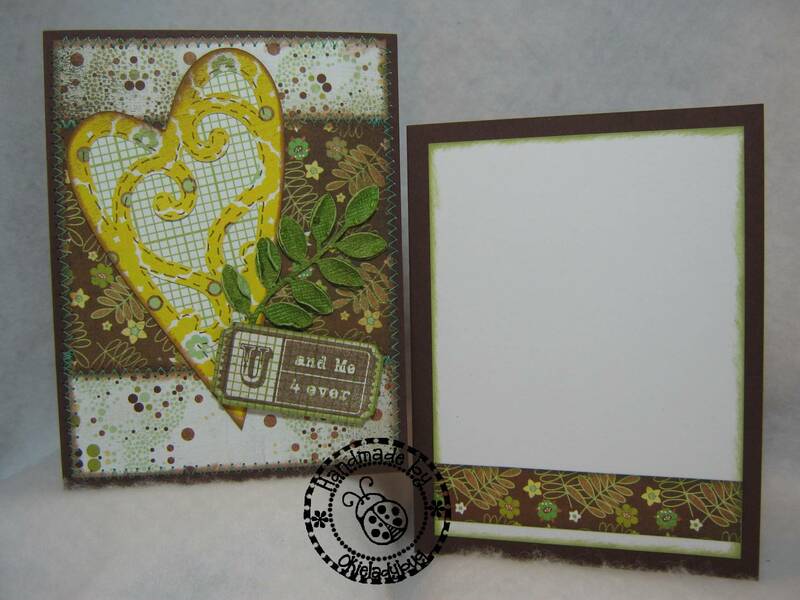 Before cutting the leaves I prepped the Coredinations cardstock by sanding, wiping off any residue and then tamping on the top with a sponge with some Tim Holtz Walnut Distress ink. 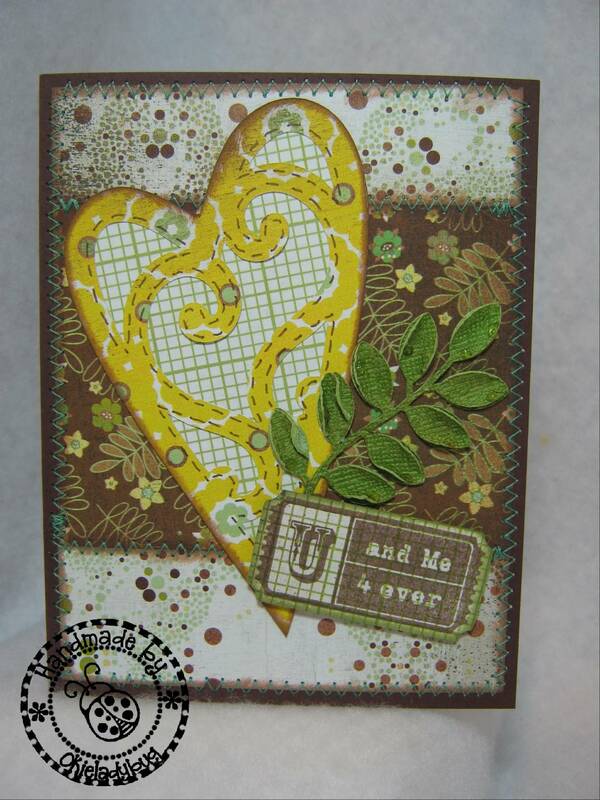 This cut down the bright color a little and made the leaves blend in better with the colors of the Basic Grey paper. I cut the leaves twice and ran a single thin line of glue down the center of the leaves on the bottom layer and then curled the top layer up to give them some dimension. If you will click the picture and look closely at the leaves you will see where I added drops of Glossy Dimensions to make little "dew" drops. Not sure how good they look in the picture but in person they are pretty cool. You can see a little more of the details of the embellishing in this picture, along with a closer look at the ticket stamp. 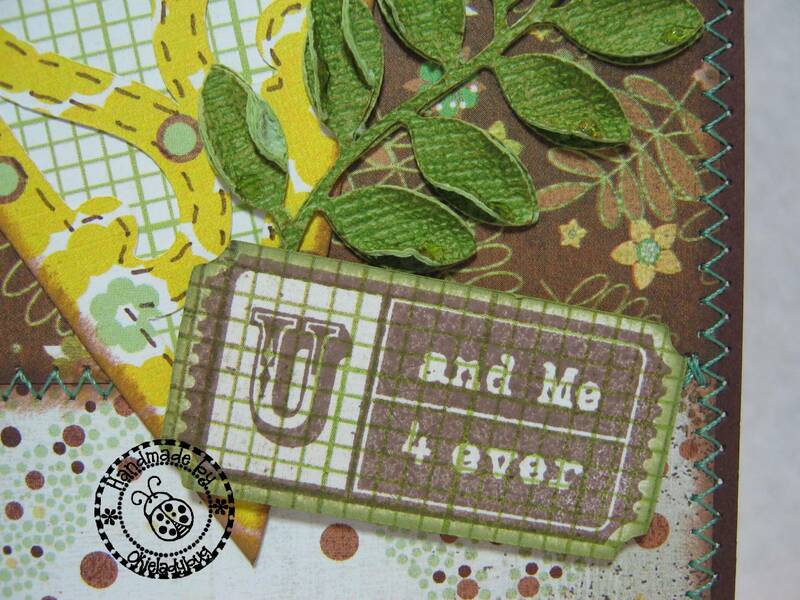 The fact that the size of cut you need to make is listed next to the coordinating stamp is AWESOME!!! It makes it so easy. And with the stamps being clear I didn't even need to use a Stamp A Ma Jig to line it up! Each file is set to cut images for making 4 cards at a time. 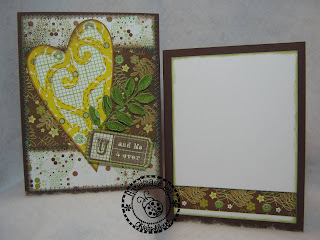 What a wonderful Anniversary or Valentine card! Also, love the paper. I am also enjoying that new cart, but am still using only the cupcake, so your posts will help me move on to other cuts. Awesome card! Love the detail on the leaves. Glad you took a closeup shot of the leaves on this one. That really just "makes" the front of the card--especially when you see it in person!